An arrest for driving while intoxicated (DWI) or driving under the influence of alcohol or drugs (DUI) can be a stressful event. The right legal advice and representation can determine whether you are convicted or acquitted and can help you avoid jail time for these criminal offenses. Here are some key facts to remember if you have been arrested for DWI, DUI or intoxicated manslaughter in the state of Texas. 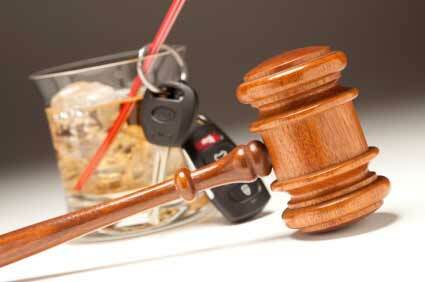 For drivers under 21 years of age, any amount of alcohol use is grounds for a DUI or DWI arrest. Commercial drivers must maintain a BAC of .04 percent or less. For all other drivers, the BAC limit is .08 percent. Associated infractions that include open container violations and reckless driving can increase the number of charges and the potential penalties against drivers in the state of Texas. If a child under the age of 15 is in the vehicle, the driver can receive a fine of as much as $10,000, jail time of up to two years and loss of driving privileges for 180 days on top of other DWI penalties for child endangerment. For a first offense, DWI drivers can expect a fine of $2,000 or less, between 3 and 180 days in jail, the loss of driving privileges for up to a year and additional fees for three years after the arrest to maintain the right to drive in Texas. The penalties increase with second and third offenses and can result in fines as high as $10,000 and jail time of up to 10 years. Presenting an aggressive defense against DUI and DWI charges is the best way to avoid these penalties and to retain your driving privileges in the state of Texas. Your attorney can present evidence and make arguments in your defense, allowing you to enjoy the most effective protection of your legal rights in the courtroom setting. The Law Office of Johnny P. Papantonakis can provide you with the right legal representation and the most vigorous defense for your DUI, DWI or intoxicated manslaughter charges. We will work with you to ensure that your legal rights are protected throughout the process and to defend your case effectively. Our legal team has the expertise and the experience needed to provide you with the best possible defense. Call us today at 713-574-7507. We look forward to serving your legal needs.